Four activists convicted over a 2014 protest against land development had their bid to appeal rejected by Court of Final Appeal on Wednesday. Their sentences were implemented with immediate effect, resulting in two of the activists being jailed. The four defendants – Yip Po-lam, Wong Kan-yuen, Jaco Chow and Cheung Kwai-choi – took part in a protest at the Legislative Council complex on June 6, 2014. Demonstrators criticised the government’s HK$340 million development plan for the Northeast New Territories, which they said would displace villagers and damage the environment. 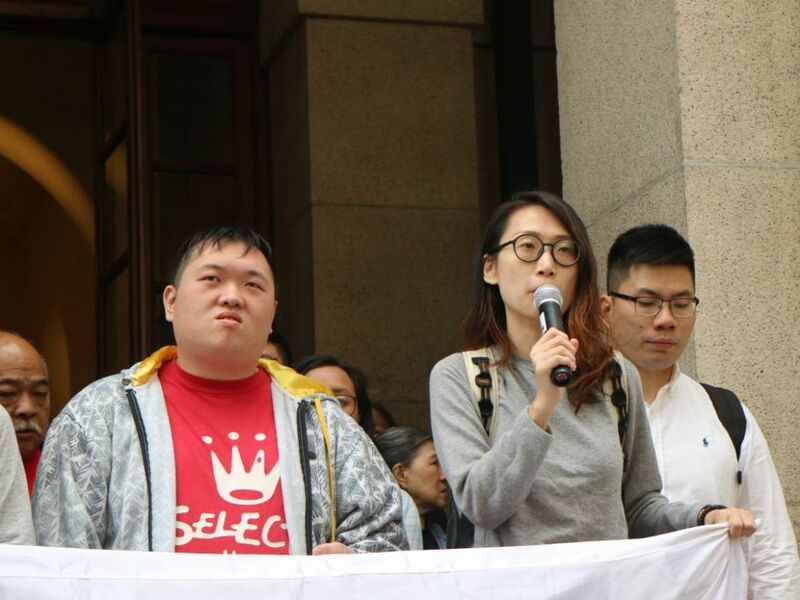 From left: Raphael Wong from the League of Social Democrats, and land activists Au Hei-man, Wong Kan-yuen and Yip Po-lam. Photo: inmediahk.net. In 2015, the four were each found guilty of one count of contravening administrative instructions issued by the legislature staff. 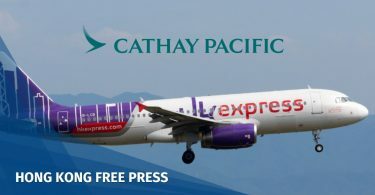 After failing to overturn the ruling on appeal, the defendants applied to Hong Kong’s top court for permission to appeal again. However, Chief Justice Geoffrey Ma on Wednesday denied their application in a preliminary hearing – meaning that they have exhausted all avenues for appeal. 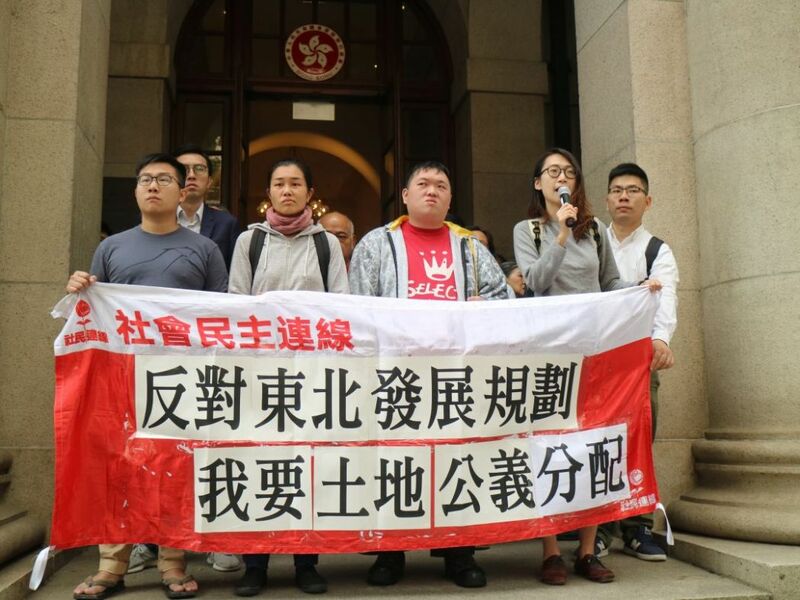 Ma said that the defendants clearly acted in a disorderly way during the protest, and cast doubt on whether their methods were proportionate with their demands, according to media reports. Yip and Wong will serve their jail sentences of two weeks and three weeks respectively. In the previous trial proceedings, the court heard that Yip – who was a core member of the Land Justice League at the time of the protest – led dozens to charge into the legislative complex, asking for a dialogue with top officials. Wong tried to prevent security guards from closing the public entrances. Chow and Cheung were each asked to pay a HK$1,000 fine. The duo hung a protest banner from a canopy at the complex despite being told not to. Jailed land activists Wong Kan-yuen and Yip Po-lam. Photo: inmediahk.net. Defence lawyer Martin Lee told the court that the protesters did not obstruct LegCo proceedings, and prosecutors failed to prove that the Finance Committee meeting on the day was affected. Lee added that the courts should have a level of tolerance for protests, and it was unnecessary to restrict the public’s freedom of expression using the Legislative Council’s (Powers and Privileges) Ordinance. 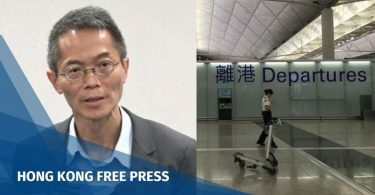 Ma said that LegCo staff members had already warned the protesters but were ignored, and there was a possibility of chaos because over 100 people were in the lobby at the time. In a separate case, thirteen land activists protesting the Northeast New Territories development plan were vindicated last September. Defendants were convicted of unlawful assembly but won an appeal against their sentencing at the Court of Final Appeal.